The club meets on the second Tuesday of each month in the conference room in the Senior Center (the large building in the center of the circle off of College Avenue-Click for directions). The club is a cooperative effort of amateurs from the Greencroft and City of Goshen communites. 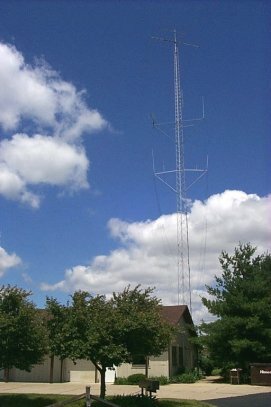 The club station is located nearby in the Activities Center, at the base of a 140-foot tower visible for a radius of several miles. You are invited to join the club at its monthly meetings.